So on Monday I opened a new document on my computer desktop. It’s one I’m going to be becoming increasingly familiar with other the days and weeks and *gasp* months to come. It’s one which is entitled with those life-consuming-and-time-absorbing-words. Dissertation. The summer is over. At least in Sapporo, the autumn is on it’s way. And with the change in season, comes a slight change in my priorities for the next few months, whilst I graft and refine the hours of interview transcripts and months of reading into some kind of understandable and succinct… Thesis. Studying around full time work has always been fun. Studying in Sapporo around a combination of teaching and language study is going to be even more of a challenge. But… a challenge that I am looking forward to. I think. If I’m honest, right now, ‘overwhelmed’ would be a good word to describe how I feel when I consider all I have gathered and learnt in the last year. I began to write the overview down in one place yesterday. 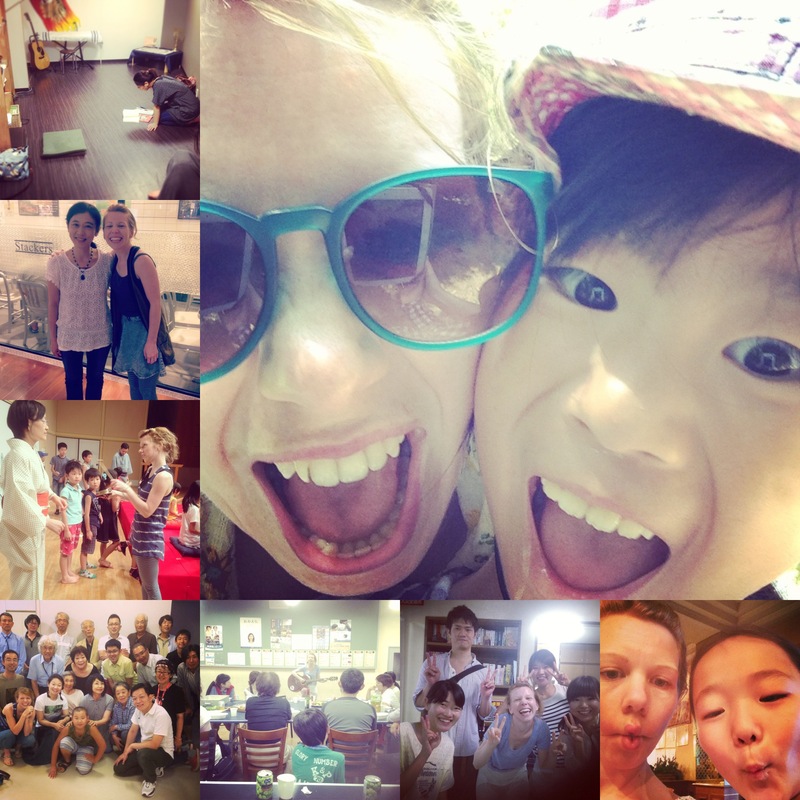 Between July 2013 and July 2014 I visited, spent time with and interviewed over 30 Japanese NPOs or organisations that work with vulnerable young people. At my last count, 29 of these were making my not-so-short-list of information-I-want-to-include-if-my-word-limit-was-limitless. My research area has been focused around transitions to adulthood for young people aged 16 – 24 who haven’t succeeded in mainstream schooling in Japan, and to be honest, that area has become far bigger, wider and broader than I ever imagined. 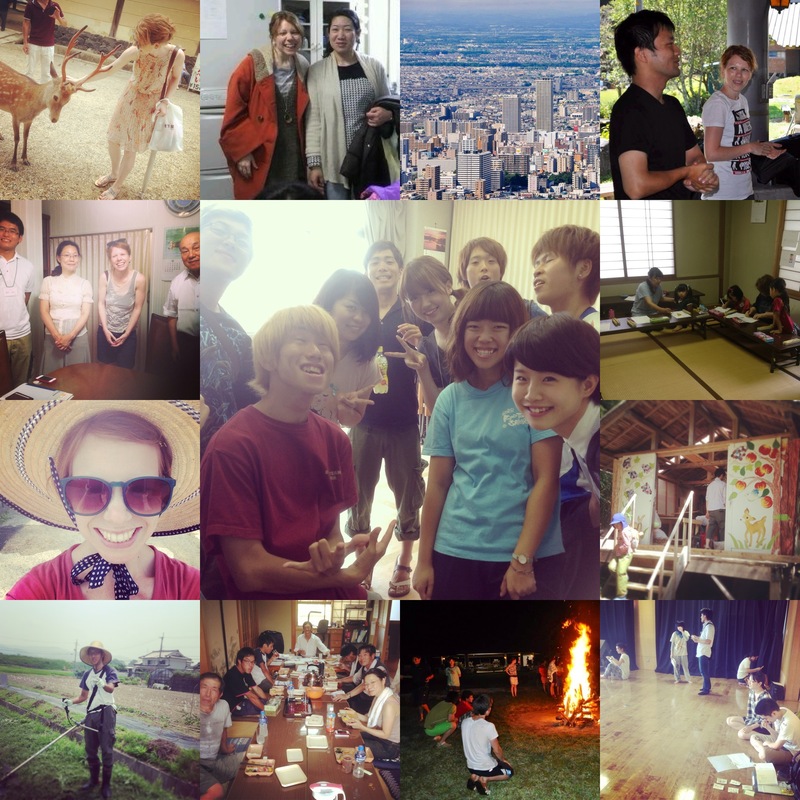 The last year has taken me as far south as Kyoto, to the red light districts of Tokyo and Osaka, to the rural projects of Nara, to the supported accommodation projects and youth centres and NPOs along-the-way, before finally landing in Sapporo. I have met with schools, professors, NPOs, missionaries, churches, and workers-in-the-field. And young people. I have met young people. Young people who are hikikomori. Young people who have been in care. Young people who haven’t gone to school. Young people who have been homeless. Young people who still feel hopeless. Young people who have marked me and changed me and challenged me. Young people who have stories. Stories that should be heard, and listened to and captured. I went for a run this morning. And in the process of running, I was praying for many of people I have met over the last year. For all that I have learnt in the last year. For the heart journey and the healing journey and the wholeness journey that this season has been, and the process that has been wrapped up in it. And as I arrived back home, I walked through my front door and stared at the prayer/picture/quote/photo wall in my entrance hall. I have this Davy Flowers quote pinned up and it struck me afresh. Wrecked. Undone. Changed. Ruined. For all forms of normality. I choose the term ruined. It’s a perfect word. I am ruined. There’s no where to go but deeper in the Lord… I’d be foolish to even consider filling His places with mere shadows. I can’t convince myself that pursuing my dreams (or what used to be my dreams) is going to increase the measure of happiness in my life. It’s as if I’m jaded. Divinely jaded. And man does it feel good. To be liberated from the world’s imitations of validity. And to be released to dream with God. To actually run to Him in His pursuit of every heart. He has stolen my heart, and like a convicted prisoner, I can’t turn back. I’ve made this decision to partner with Christ until the day I see His face and THIS is my glory! I really am stoked about it. I can’t actually unpick my journey of research from the last year apart from the continuing journey of going deeper in the Lord (although for the purpose of dissertation write up I will obviously try!) But truthfully, moving to this country and giving up so much, really was a process of being released to dream dreams with God. I’m listening to Steffany Gretzinger’s new album just now, which is also aptly titled ‘The Undoing’. It’s lyrically and musically this beautiful story of how we are in a process of being undone before the Lord. It’s true isn’t it? Sometimes we feel so undone in His Presence, but that’s only a glimpse of this journey. In reality, all of this life that we’re living is the undoing, it’s the process, that leads us to one day stand before Him and be completely undone. I’m so guilty of wanting to get ‘there’. Wherever ‘there’ may metaphorically be. I want everything now. I long to see all my prayers answered today. I am impatient. And stubborn. And so, so, foolish. But Jesus is so patient with me. So interested in the conversation. So interested in the process. So committed to changing me. To refining me. To purifying me. Step by step by step. And I want to see the breakthrough for all these young people today. I want to be able to speak Japanese fluently without the hard work. I want to know I have the resources to make a difference before I take a step of faith. His ways are so much higher than my ways. And so in this place of writing, and reviewing and learning, I am instead praying for the process. That my heart will be soft. That I will use words to craft and paint a picture of what God is doing and wants to do. That I will dream dreams, but know that the answer is so often in the journey. Because in Him I find my fulfilment. My joy. My peace. My love. 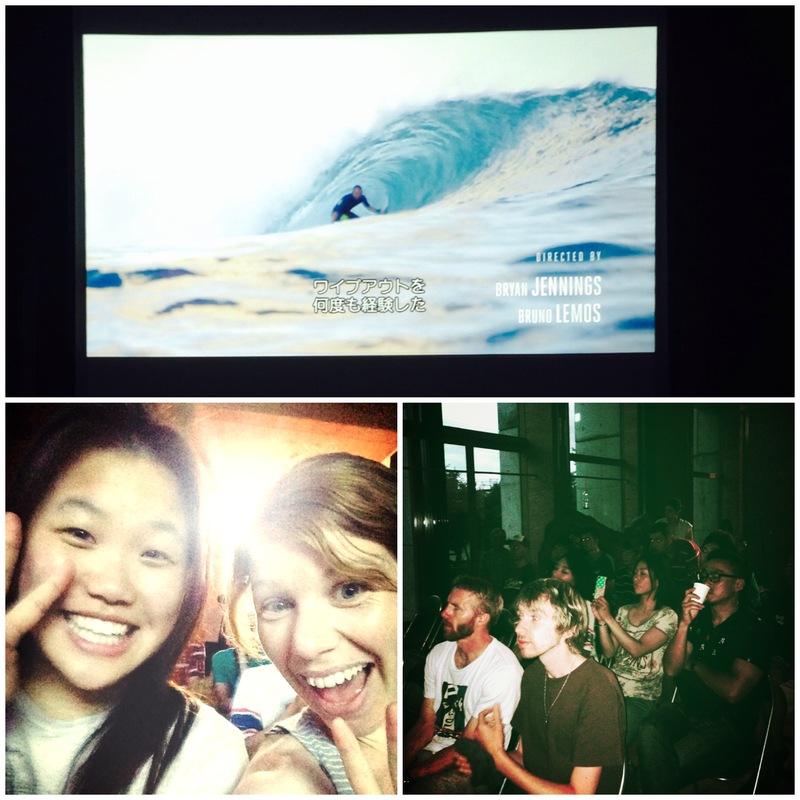 Oh, and we also had a great time at a Christian Surfers Japan event here on Sunday showing ‘Beyond Sight’ with Japanese subtitles! Pray for the lasting fruit of the mission team who are over here just now!